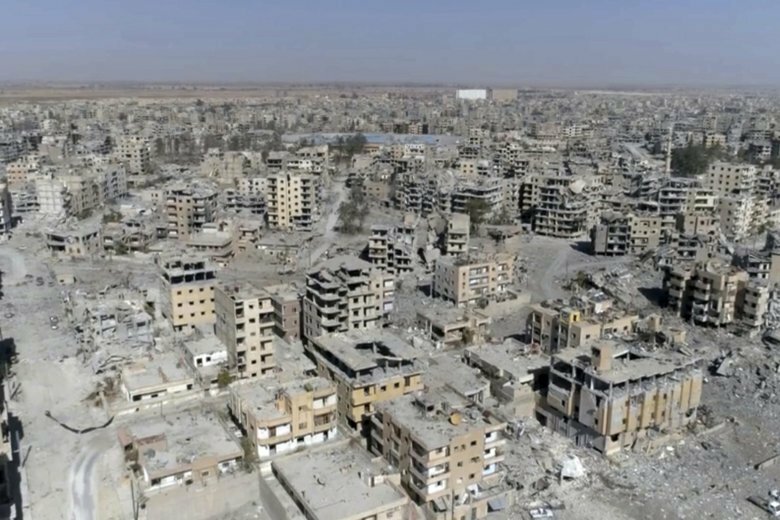 BEIRUT (AP) — Amnesty International said Wednesday it’s enlisting the help of thousands of online activists to speed up its investigation into the U.S.-led campaign that drove Islamic State militants from their self-styled capital of Raqqa but left the Syrian city in ruins. The London-based rights group said the new phase of its investigation enables thousands of online activists, using satellite imagery of the city, to map out the destruction over the four-month campaign, which ended in October 2017. The U.N estimates that more than 10,000 buildings were destroyed— or 80 percent of the city. Amnesty’s Strike Tracker campaign, in partnership with Airwars, would help narrow down when and where coalition air and artillery strikes destroyed buildings. Amnesty hopes to compel the U.S-led coalition fighting the Islamic State group to take greater responsibility and conduct its own investigation into the deaths of hundreds of civilians. Amnesty said the scale of devastation in Raqqa is “too large” for its teams to do it alone. By enlisting thousands of activists for the month-long project, Amnesty said it can save years of work by a small team of researchers processing endless amount of data. “The Strike Tracker asks people around the world to join us to analyze one building at a time and establish when it was destroyed in a strike,” said Milena Marin, senior adviser on Amnesty’s Crisis Response team. The data would then be corroborated with other evidence, such as videos and strike and casualty reports. “We are hoping to build a comprehensive picture of what happened last year and with the evidence to advocate the coalition, to again, admit responsibility in their operations,” she said. In an earlier phase of Amnesty’s investigation inside Raqqa, the group provided new evidence that compelled the coalition to acknowledge 77 civilian deaths. In total, the coalition has acknowledged 104 civilian deaths from the hard-fought campaign. “With bodies still being recovered from the wreckage and mass graves more than a year later, this is just the tip of the iceberg,” said Marin. Some 2,500 bodies have been pulled from the rubble and uncovered in mass graves, and searches are still underway. Amnesty suspects hundreds of civilians died in the campaign. Amnesty hopes to publish results of the research early next year. Raqqa was the capital of the Islamic State group’s self-styled caliphate, which once encompassed a third of Syria and Iraq. In recent years the group has been driven from virtually all the territory it once controlled, and holds just a few small, remote pockets in Syria.